Alongside these activities Ton Steine Scherben have constantly worked as support or backing band to a number of radical theatre and political cabaret acts (including Brühwarm, Kollektiv Rote Rübe and Hofmann's Comic Teater). The recorded results of these collaborations are generally quite odd, and not easy listening for non-German ears. 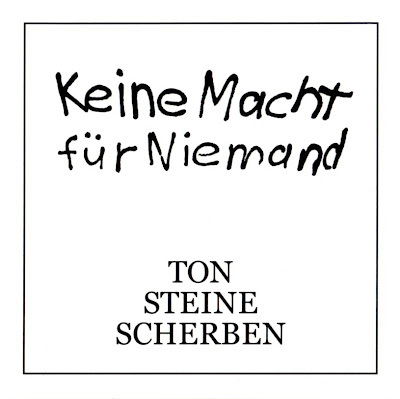 Further proper Ton Steine Scherben albums paled somewhat towards more conventional German rock. Rio Reiser (pseudonym of Ralph Möbius) since became a figurehead of the German underground and quite an esteemed authority on the matter. I have encountered numerous lengthy essays on the web by or about him, which sadly do not translate well with Google's automatic translator! He died on 20 August 1996.